The Urban Lab Phnom Penh provides a space for the exchange of ideas between university students, architects, designers, artists and urban thinkers about the present and future of Phnom Penh. The Urban Lab is a group of people, a website and during the Our City Festival it will be a place (location will be made public soon). During the Our City Festival the Urban Lab will bring together known urban resources for Phnom Penh: photos, maps, drawings, models, videos, interactive media, and student projects. The Urban Lab will open prior to the Our City Festival. This will allow for ongoing experimentation and free student workshops leading up to and during the Festival. Our City Festival (September 29 – October 7) is a platform for dynamic art and architecture events, that explore urbanism in Phnom Penh and fosters opportunities for dialogue and public engagement. The Our City Festival 2012 theme is Urban Currents and takes as its point of departure the movements within the urban environment: the flows between the people, resources, environment, and landscape of the city within the context of its urbanization and its impact on greater Cambodia. 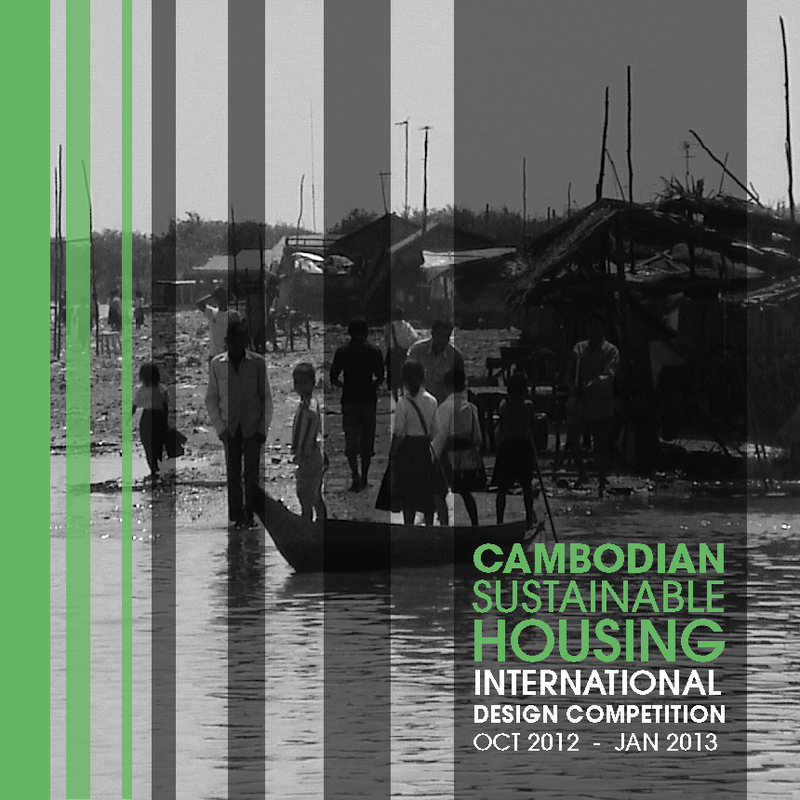 Be part of the Season of Cambodia in Spring 2013! The multi-disciplinary arts festival in New York City will feature the highest quality Cambodian music, dance, theater, visual arts, and film. Cambodian Living Arts, a Phnom Penh-based NGO, will produce this festival – the first of its scale anywhere in the world – in partnership with many of New York and Cambodia’s leading cultural institutions. Discover Cambodia’s millennium-old cultural traditions, expressed in ancient religious ceremonies and rituals as well as in contemporary creative work, as new generations of artists draw upon the country’s rich history while exploring new ideas and artistic innovation. Thirty years after the genocide by the Khmer Rouge, Cambodia is emerging as a nation whose distinctive arts and culture are becoming its national and international signature. Presenters such as the Brooklyn Academy of Music, Film Society of Lincoln Center, and Asia Society will showcase work ranging from classical dance and large-scale shadow puppetry (which bring ancient epics to life), to contemporary dance, circus arts/theater, music, and film, as well as host a conference featuring artists and scholars to provide context for the festival. Offstage activities will include peer-to-peer artist exchanges and outreach programs with community, teen, and cultural organizations. Beyond 2013, Season of Cambodia will create a template for other cities around the world while serving as a catalyst for social and economic regeneration and growth in Cambodia. The festival will celebrate this transformative moment in Cambodia’s history, when a nation redefines itself through its arts and culture. Season of Cambodia is produced by Cambodian Living Arts and is a sponsored project of the New York Foundation for the Arts. My year in Cambodia continues to be a study in the beauty, complexity and contradictions of Phnom Penh and the inherent difficulties and ongoing surprises of researching, documenting and describing a rapidly developing city. Recently, I have had some discouraging conversations with well intended but poorly informed researchers visiting Cambodia. I believe in the agency of academic work and think that when thoughtfully constructed it provides a powerful platform and counterpoint to the NGO community and the private sector. I love the opportunity to talk about Phnom Penh, to share with others what I have learned, to describe my experience here, and to discuss the creative potential and challenges of the city. 1/ This is a dictatorship. Hun Sen has been in power for more than 10,000 days. Never forget this and the reality that entails. 2/ The Khmer Rouge killed almost an entire generation of people, including a large number of educated professionals. Don’t ask why Cambodia is ‘behind’ Thailand and Vietnam (seriously). At least read the Wikipedia article before you come here. Better yet read Elizabeth Becker’s book. 3/ The 20th century in Cambodia was marked by ongoing war and conflict – including a long American bombing campaign. Here is a timeline of population vs conflicts vs governments in Phnom Penh since 1866 (the beginning of the French Protectorate). The traces of that history inform the present day city. 4/ There is no agreed upon Master Plan for Phnom Penh. The French proposed one for 2020 (Le Livre Blanc). It is still under consideration. Here is an article about the ramifications of a rapidly developing unplanned city. For example, there is no formal sewage treatment which works as long as the lakes remain. 5/ Phnom Penh is located in the Mekong Flood Plain at the confluence of three rivers (Bassac, Tonle Sap and Mekong). There are both rain and river flood events here. Rain flood events occur most days during the wet season. There are open sewage canals in the city which sometimes overflow from stormwater. 6/ Urban issues are important but Cambodia is still mostly rural. Even though the pace of development in Phnom Penh is astonishing – that wealth and progress is not being spread equally to the rest of the country. Average income in Phnom Penh is three times higher than in the countryside. Much of the country still survives on less than $1 a day. Most rural Cambodians do not have access to a toilet. 7/ Land rights are an extremely controversial topic here, land titling is an ongoing issue and there is a great deal of money and power at stake. Peaceful protest is not a protected right. Boeug Kak Lake was infilled, 4,000 residents evicted, their homes destroyed, 15 arrested for protesting their eviction, jailed for 2 1/2 years without adequate trial, and only released under enormous outside pressure. 8/ Environmental activism cost Chut Wutty his life. He was working to prevent illegal logging. He was murdered because of the economic value of tropical hard wood. Understand an issue before acting, what is at stake, and why. 9/ All of the digital maps and physical maps I have of Phnom Penh are on this blog. I do not have a secret stash that I am keeping from you. 10/ Here is a a list of NGOs and groups working on urban issues in Cambodia. Here is a list of related print publications. There are 3,000 NGOs in Cambodia. 11/ There are amazing and talented Cambodian architects and artists already working here. 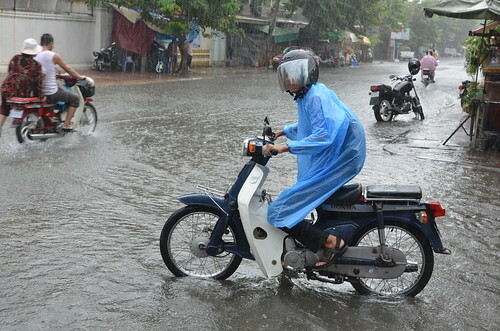 The Future of Phnom Penh lies in their tenacity in addressing the challenges facing the city. We are just visitors. You and your ideas are guests. When following these principles, design becomes a capacity-building tool. It informs and educates and, once it is made accessible, can become a democratic method in which voluntary processes start to formulate a common value system. Design Innovation Policy: Aims to create a new value system in the global community where all of the Council’s principles can be applied to create a standard that could become a universal policy. Visualizing Complex Systems: Creates tools to inform society through transparency and participation. Reciprocal Index: Offers an alternative value system in society through transparency and participation within a specific context for a sustainable future. Environmental Index: Creates a shared information system that can alter resource consumption models to offer a larger context for participation and awareness. Safe Water Project: Entails the design of an inexpensive, hand-held filtration product that works as part of a large-scale, systemic response to the need for drinking water in environmentally challenged and under-served communities. Design is pervasive throughout our everyday lives. A bit of it improves life; the lack of it worsens it. How we choose to live is the way we design to live. Our life has a design – an overall idea, encompassing how we project ourselves, our values and our lifestyle. It aspires to a common larger goal. I have multiple identities, as many of us do. I am a mother, a wife, a business owner, an academic and an architect. I am Japanese but live and work in New York City. As such, my design criteria change according to the community I happen to be in. Design and innovation are most powerful at the micro-community level, informed by location, culture, and purpose. Each community harbours different risks and resiliencies, but these communities intersect, enhancing our ability to relate to one another. The Environmental Index employs a bottom-up approach, empowering consumers – a key micro-community – to assess their own risks and resiliencies. Often, these local risks can have more impact than the larger, less-immediate global risks. It became clear from our observations that the pennies we spend on energy for our cars and air-conditioning really do add up. I want communities to become vigilant and create safety nets to ensure their long-term survival. But how do we design a society to be resilient even when it is turned upside down? This is the weakness of the top-down society: the tops of the trees cannot become roots. For our Environmental Index project, we seek to create branches that can reach down to the roots or reach up to the sky, growing leaves and flowers and bearing fruit. These healthy societal ecosystems should propagate organically, in a voluntary and productive fashion. There is a global crisis that is real and serious, yet politics and ideologies continue to divide the world. Design uses existing systems to cause a paradigm shift in the way we think. It can change our behaviour by making certain activities, such as riding bicycles, seem cool and desirable. An accumulation of such small, local lifestyle changes will ultimately solve global problems, such as climate change. Design and innovation are the catalysts for that change. You can view the full set of reports from the Global Agenda Councils and read more blog posts. FOR some time now, if you asked architects and urban planners for proof of the power of public architecture and public space to remake the fortunes of a city, they’d point here. Twenty-odd years ago, this was Pablo Escobar’s town, with an annual homicide rate that peaked at 381 per 100,000. In New York City that would add up to an almost inconceivable 32,000 murders a year. But Colombia’s second city has lately become a medical and business center with a population of 3.5 million and a budding tourist industry, its civic pride buoyed by the new public buildings and squares, and exemplified by an efficient and improbably immaculate metro and cable car system. Linking rich with poor neighborhoods, spurring private development, the metro, notwithstanding shrieks elsewhere in Colombia over its questionable construction cost, is for residents of Medellín a shared symbol of democratic renewal. Even on the rush-hour train I took the other morning, crowds stepped aside to let a cleaning woman with a mop and bucket scrub the floor. That evening I headed high up into a steep hillside slum where rival gangs still shoot unsuspecting trespassers who cross invisible borders. The city has recently installed an escalator ascending 1,300 feet, much debated at $7 million and disconnected from the rest of the city’s transit network but shortening to a five-minute ride what had been a brutal 30-story climb for some 12,000 residents. I trudged by foot, past armed soldiers, past mothers taking breathers on the decrepit steps that meandered up the mountain, past toddlers on plastic tricycles plunging down vertical streets, to a brightly painted cinderblock hut, a ramshackle aerie overlooking a sprawl of tin houses and open sewers. The shack is home to Son Batá, a cultural initiative founded by young black migrants from the Chocó region of Colombia. Son Batá promotes Chocano music and dance, and it benefits from yet another Medellín initiative: participatory budgeting. Residents here have voted to direct a share of government financing to new schools, clinics and college scholarships. Son Batá got to hire music teachers and bought instruments and is adding a new recording studio to its headquarters. A group of players showed me the studio under construction. From another room, music drifted over the barrio and into the warm night air. I arrived in Medellín to see the ambitious and photogenic buildings that have gone up, but also to find what remains undone. The murder rate, while hardly low, is now under 60 per 100,000. Architecture alone obviously doesn’t account for the drop in homicides, but the two aren’t unrelated, either. Around the world, followers of architecture with a capital A have focused so much of their attention on formal experiments, as if aesthetics and social activism, twin Modernist concerns, were mutually exclusive. But Medellín is proof that they’re not, and shouldn’t be. Architecture, here and elsewhere, acts as part of a larger social and economic ecology, or else it elects to be a luxury, meaningless except to itself. The story of Medellín’s evolution turns out to be neither as rosy nor as straightforward as fans of new architecture have tended to portray it. It’s generally told as a triumph for Sergio Fajardo, the son of an architect who is the governor of the region and who was the city’s visionary mayor from 2004 to 2007. He pushed an agenda that linked education and community development with infrastructure and glamorous architecture. But the city’s transformation established roots before Mr. Fajardo took office, in thoughtful planning guidelines, amnesties and antiterrorism programs, community-based initiatives by Germany and the United Nations and a Colombian national policy mandating architectural interventions as a means to attack poverty and crime. What sets Medellín apart is the particular strength of its culture of urbanism, which acts now almost like a civic calling card. The city’s new mayor, Aníbal Gaviria, spent an hour describing to me his dreams for burying a congested highway that runs through the middle of town, building an electric tram along the hillsides to stem the sprawl of the slums, adding a green belt of public buildings along the tram, rehabilitating the Medellín River and densifying the city center — smart, public-spirited, improvements. It’s as if, in this country whose relatively robust economy has underwritten many forward-thinking projects, every mayor here has to have enormous architectural and infrastructural plans, or risk coming across as small-minded or an outsider. Mr. Gaviria, local designers, businessmen and community leaders sketched for me a picture of a city in which violence, much of it today by small drug traffickers, remains a big problem and victories are fragile. 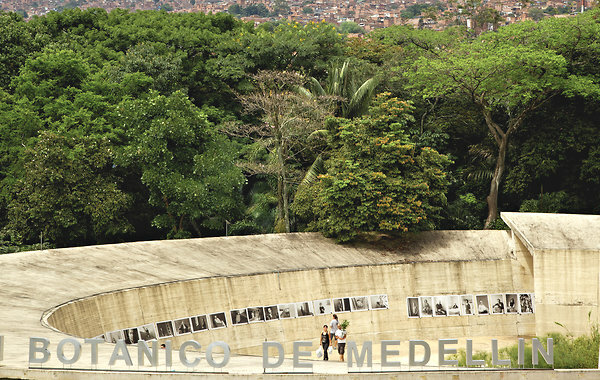 People in Medellín were cautious about the future, about easy solutions and seeing architecture as an end in itself. At the same time, they stressed the social and economic benefits that public architecture and new public spaces can create, and the wisdom of long-term, community-based policies of urban renewal. “A holistic approach,” is how Alejandro Echeverri, one of the principal architects of the city’s transformation under Mr. Fajardo, described the philosophy. I came here from Bogotá, whose renewal programs starting in the late 1990s — like earlier ones in Barcelona before the Olympics in 1992 — set the stage for Medellín’s revival. But now Bogotá is suffering, as strains multiply on its famed rapid bus system and residents’ faith in the city’s future plummets. Medellín, by contrast, still counts on an almost fierce parochial pride, a legacy of decent Modernist architecture dating back to the 1930s, a cadre of young architects being aggressively nurtured and promoted, and a commitment by local businesses to improve social welfare that begins with the city’s biggest business: its state-owned utilities company, E.P.M. But of course ownership can’t just be bestowed on poor neighborhoods; it must also be declared, in small, critical ways. In the troubled Comuna 13, two members of Revolución Sin Muertos (Revolution Without Deaths) — started not long ago by a group of neighborhood hip-hoppers rejecting the gang culture — took me on a graffiti tour. At a crowded street corner, Daniel Felipe Quiceno, known as Dog, and Luis Fernando Álvarez, who is called AKA, pointed to a mural of four of their own, murdered by local gangs. Revolución Sin Muertos paints murals around Comuna 13; sometimes residents put their own tags on them, as if to signal support. Murals, Mr. Álvarez said, have helped people here vent frustration and proclaim ownership of the neighborhood. Progress is hard. Venture a few yards from the heralded new squares, library and cable car stations in the Santo Domingo barrio, across town in the hills of the Northeast district, and it’s clear just how dramatic but also tenuous change is here. Mr. Echeverri met me at the cable car terminal one morning for the ride into the Northeast slums. Our car rose high above a sea of illegal houses, the cable car stations creating a spine of commercial development up the mountainside. In what used to be a district too risky even for the police to patrol, we got off and wandered through a souk of restaurants, schools and clothing stores, leading onto busy squares and then to the España library, the most conspicuous emblem of the new Medellín. “A seed to plant trust,” is how Mr. Echeverri described the neighborhood after its makeover. “The main physical transformation is to public space, but it’s only the beginning,” he cautioned, gesturing toward the sprawl of poverty just beyond the new development. Mr. Echeverri said all the headlines about the recovery of this much-photographed barrio have been great, but they’ve also had the unintended effect of inclining some officials to look elsewhere, for less politically complex projects. He showed me the $4 million España library: three linked black boulders perched 1,500 feet over the valley, designed by the gifted Bogotán architect Giancarlo Mazzanti, which has become a community center and civic symbol. It’s impressive from the outside. But there are serious problems on the inside. The buildings are steel-frame boxes clad in dark stone tiles, with floating concrete cores — in effect, boxes within the boxes with reading rooms, a child-care center, an auditorium and other facilities. Construction is shoddy, navigation confusing, the interior claustrophobic; acoustics are awful, windows scarce. More impressive but less flashy is another library in Medellín by Mr. Mazzanti: the León de Greiff library in La Ladera also a trio of buildings, in this case well-connected cantilevered pods on slate pedestals, splayed like a fan across the brow of a hill. The shared roof is linked to a park next door. Views are spectacular. The reading rooms and children’s play areas look out through panoramic windows. Mr. Echeverri took me down the hillside to Andalucía, another part of the Northeast slums. Formerly ruled by gangs who held opposite sides of a garbage-clotted creek, it’s now remade with a sports complex and school, new sidewalks, new mid-rise housing blocks and a bridge over the creek. Dozens of shops have opened. Men were tinkering beneath cars in the hot sun, chatting over beers, when I visited; children dawdled on the way home from school, eating ice cream on the bridge. A thousand eyes were on the streets. There I found Mateo Gómez, a 20-year-old on his way to work at a local beer company in the city center. The cable car had cut his commute in half, from two hours to one, he told me. From the hills of the Northeast, I made the circuit of some of the other new architecture in Medellín, much of it in and around the Botanical Garden, which had been the city’s Central Park before it became too dangerous to visit, and was shut down. For a while, the garden was intended for demolition. Then, a decade or so ago, thanks to Pilar Velilla, the garden’s director at the time, and with the support of Mr. Fajardo, the area was turned around. Mr. Echeverri has designed a dramatic new science museum and public plaza across the street from the garden, and the garden has been lovingly renovated, its walls taken down, a gem of a circular pavilion, by Lorenzo Castro and Ana Elvira Vélez, added at the entrance. After an initial scheme to hire Norman Foster to devise another pavilion was rejected, a local competition was held, with the idea of advertising Medellín’s own young architectural talent. The winner, JPRCR Architects (Camilo Restrepo runs it), and Plan B Architects (Felipe Mesa and Alejandro Bernal), came up with the Orquideorama, a towering wood meshwork canopy rising 65 feet above a latticed patio. Its 10 hexagonal flower-tree structures, collecting fresh rainwater and woven together like honeycombs, shelter an orchid collection and butterfly reserves. The canopy is at once formally economical and spectacular. But the most remarkable building of all is a few blocks away, a cultural center in the neighborhood called Moravia, next to a vast garbage dump. The center is one of the last works by the Colombian master Rogelio Salmona, a quasi-Moorish design of refined simplicity, all transparency, modesty and openness. Carlos Uribe, an artist, who runs the center, showed off the beehive of below-ground practice rooms, the dance studio and theater opening onto the outdoors, the library and courtyard, flanked by low ramps, providing a desperately needed safe and attractive public space, where small children romped before watchful teachers among burbling fountains that recalled the Alhambra. The authorities have lately been moving residents from the unsafe landfill next door to new housing on the city’s periphery, which is understandable but a striking case of thoughtless urban planning, because the move isolates the residents from their jobs and what had become their neighborhood, with Salmona’s building as its anchor. My impression from that conversation was that it’s politically easier to propose new plans for burying highways and building trams in the hills than to untangle old problems, and that the city still had to be vigilant when it comes to housing policies. I met just before I left with eight young architects at the Museum of Modern Art, a steel mill from the 1930s, handsomely converted. “We’re still not thoughtful in terms of social housing, mixed neighborhoods,” agreed Verónica Ortiz Murcia, a partner at Arquitectura y Espacio Urbano. “There’s a general feeling among young architects of a missed opportunity here,” said another architect, Catalina Ortiz. That view was echoed by Camilo Restrepo and Alejandro González. Their skepticism seemed almost the most encouraging sign I had encountered in Medellín. The city has made big strides, after all, using cutting-edge architecture as a catalyst. But here young architects press for yet more creative solutions. They take for granted as their jobs both formal innovation and also the humanitarian role of architectural activism, leapfrogging an older generation of architects and others who have remained fixated on eye-catching buildings to grace the covers of glossy magazines. It’s this restless energy among an up-and-coming generation, in a city where people already take seriously the goal of greater equality, that seems to promise change will continue.